Austin is a huge street-party and festival town! 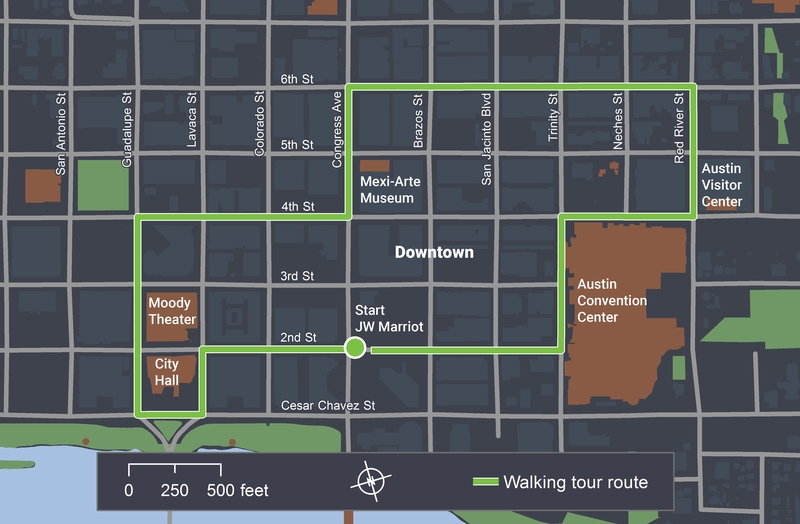 When SXSW festival brings 100,000 extra people to Downtown streets for three weeks, extensive advance planning and proactive management is required. 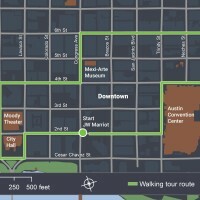 Come walk with Austin Event Center staff along key streets activated by SXSW, Austin City Limits Music Festival (ACL), a huge Formula 1 racing street festival, and other long-standing special events. Learn about the cross-departmental “one stop shop” for street event permitting, street closures, the process for mitigating conflicts, ensuring participant safety, organizing shuttle operations, addressing traffic flow, and coordinating with numerous stakeholders. See the Austin Convention Center area and if time permits, pop into the new Austin Visitor Center for a souvenir. This tour will travel on foot and by public transit. Participants are encouraged to wear comfortable shoes, wear comfortable business casual attire, and bring sunscreen. Refillable water bottles will be provided.